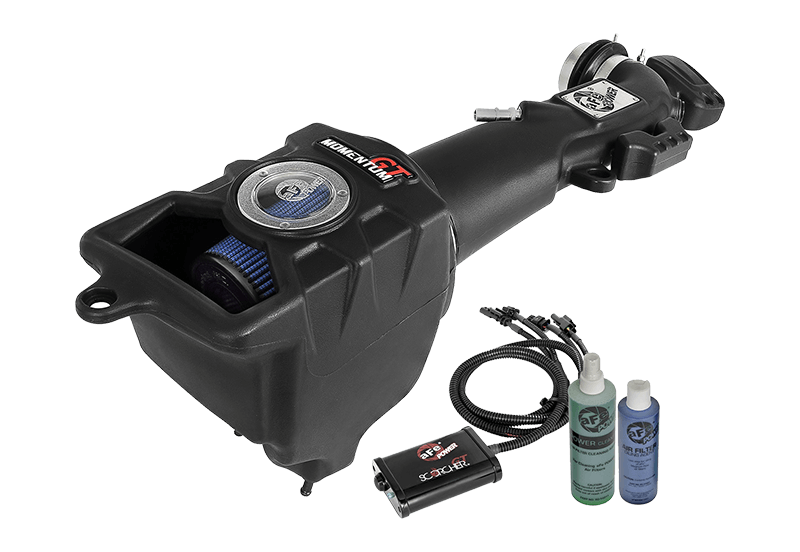 aFe POWER has long been known for creating exceptional performance parts and accessories for the Jeep Wrangler. As soon as we could, we purchased the new 2018 Jeep Wrangler JL 3.6L and began product development. 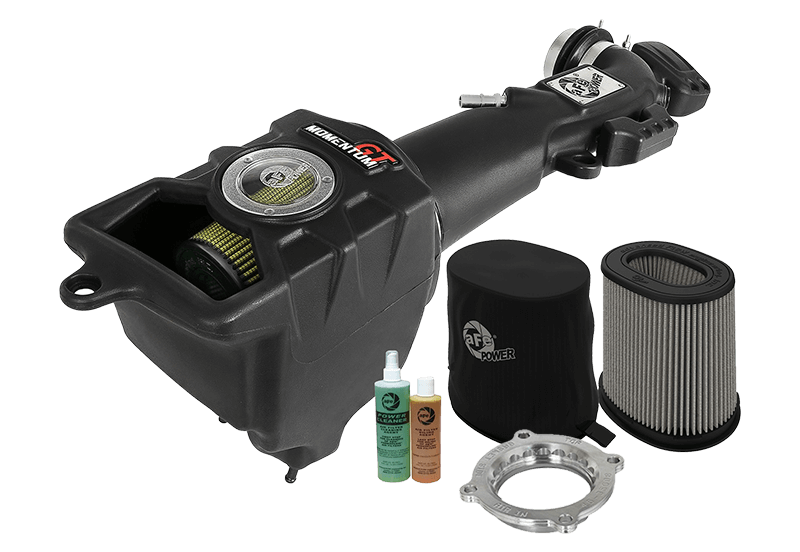 Now, we are proud to release the beginning of what will be a full catalog of high-performance intake systems and air filters, multiple exhaust options for those looking for both street and off-road performance, and full line of suspension upgrades for both stock and lifted Jeep JLs. 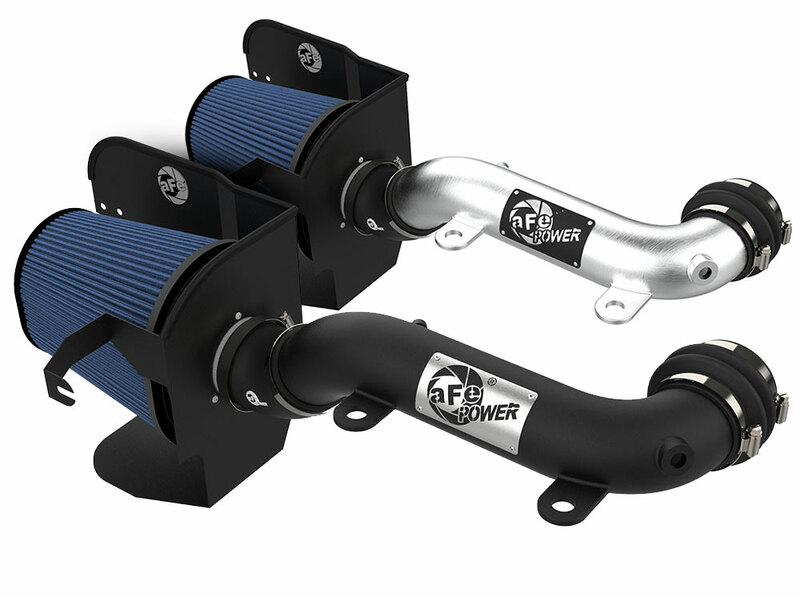 Available with either our open-element Magnum FORCE Stage-2 cold air intake system or the sealed Momentum GT, these power packages significantly increase airflow, torque, and horsepower. Adding performance to your Wrangler JL begins here – by increasing the flow and efficiency of the air intake system. 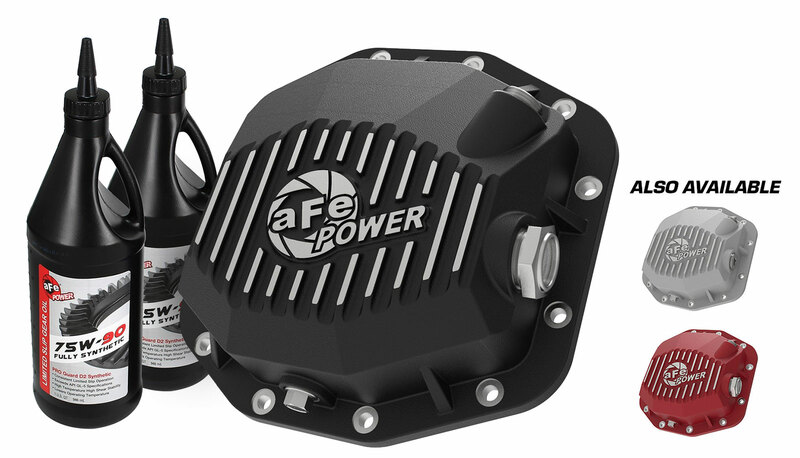 The aFe POWER Momentum GT is CAD-designed, allowing for a large airbox to house its large, free-flowing filter. The newest design in air flow technology – From their heavy-duty components to their patent pending filter-to-housing interface with four captive screws. Quantum delivers dyno-proven performance gains, an industrial look, and installs in as little as fifteen minutes. 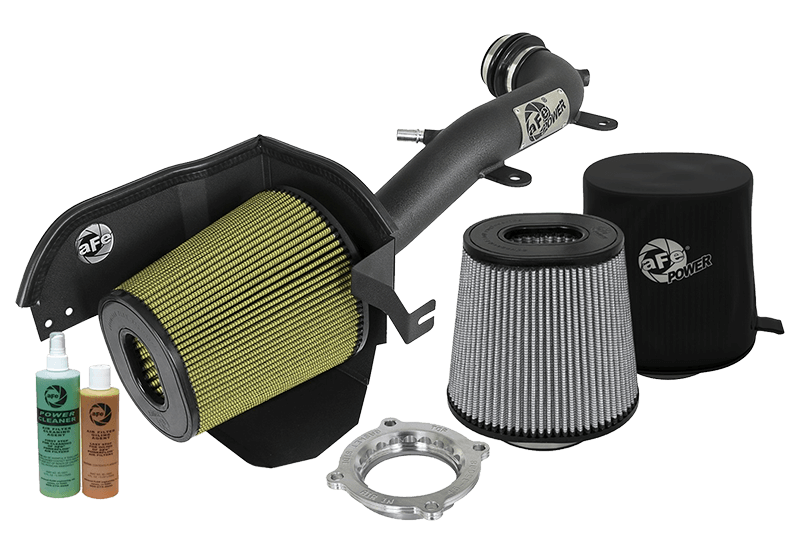 With a 3” mandrel-bent aluminum intake tube and 7-1/2” tall radial flow performance air filter, this cold air intake system gives the JL the air it craves. 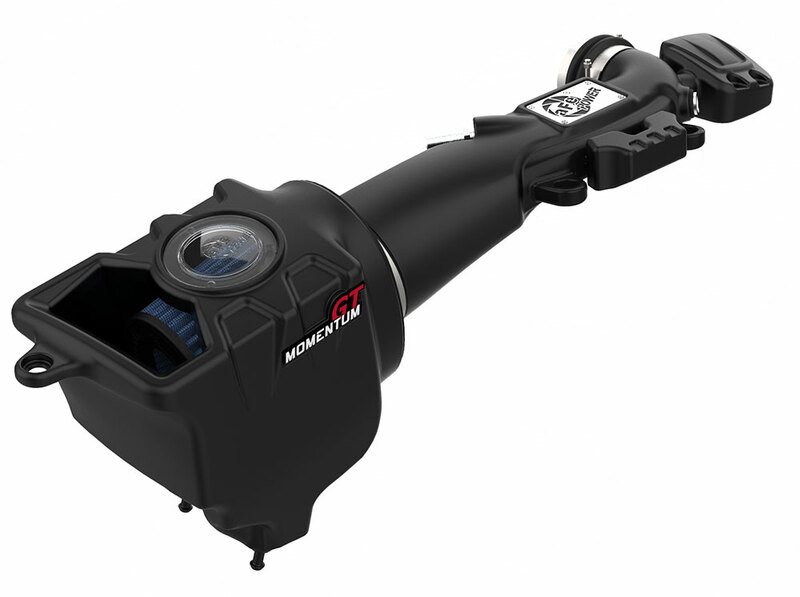 The Stage-2 XP is available with a black or brushed aluminum intake tube. 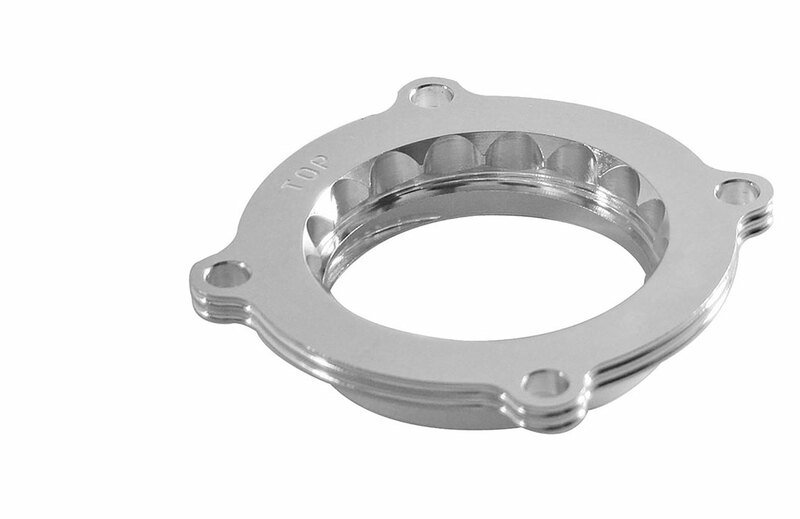 One of the easiest additions to improve low end horsepower and torque for your Wrangler JL's 3.6L is the Silver Bullet Throttle Body Spacer. The TBS has both a Serrated and Helix combination design, which creates air turbulence in the intake manifold, increasing air pressure in the combustion chamber. Added performance, convenience, and protection in as little as ten minutes. Our progressive filter media is available dry, oiled, or in a hybrid configuration, trapping even the finest dust and dirt particles. 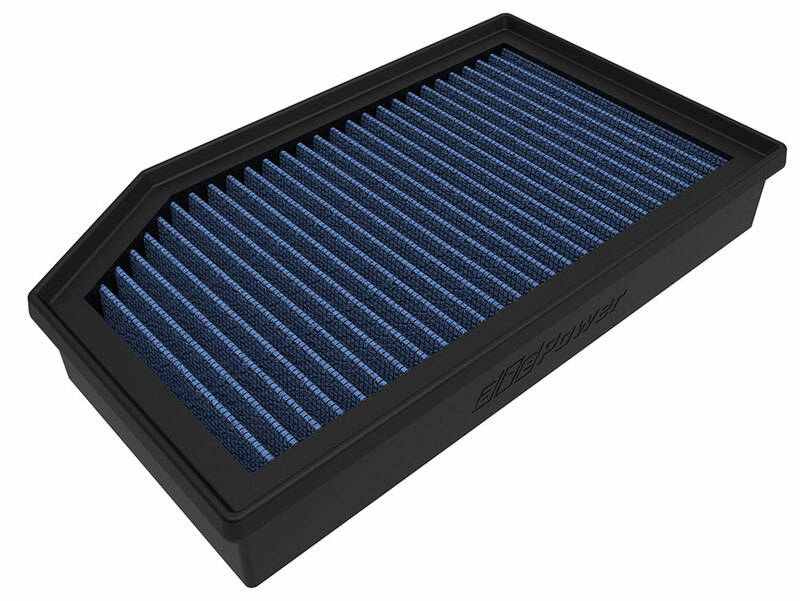 Every OER filter is washable and reusable, saving you money over time when compared to OE replacements. 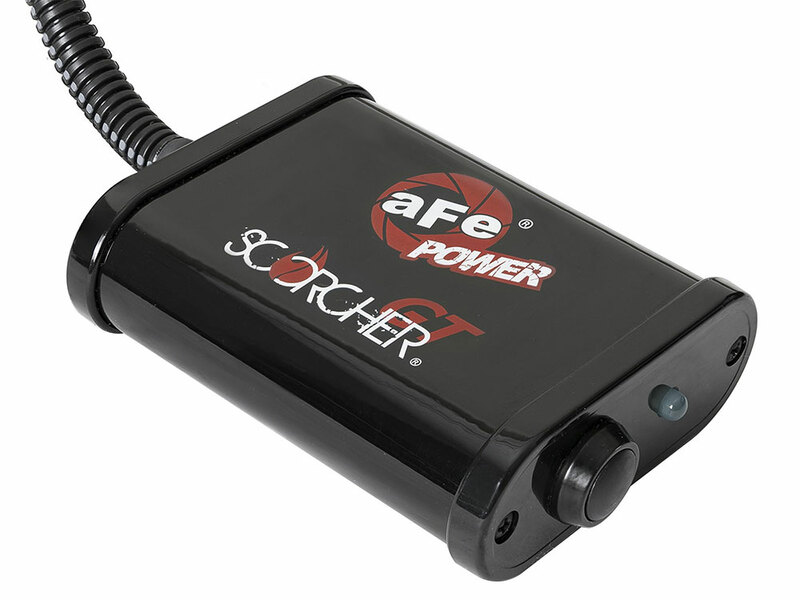 The aFe POWER SCORCHER Power Module alters MAP and IAT signals to improve vehicle performance, efficiency, and throttle response. The result is instant increased performance across a broad power band. No cutting, drilling or splicing is required in this hassle-free 30-minute installation. 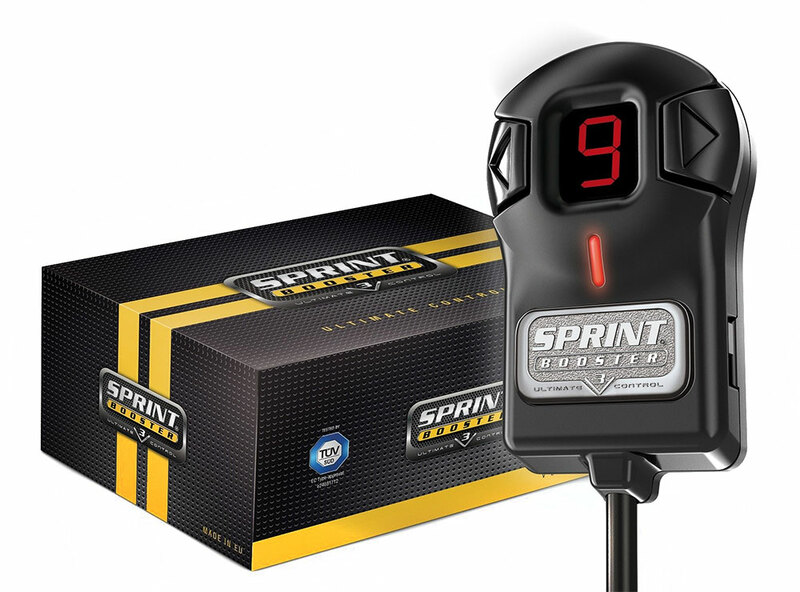 The Sprint Booster plugs right into your existing gas pedal module and reprograms acceleration signals. It delivers improved throttle response across three different power modes, as well as a valet and pedal lock mode. The first time you press the gas pedal after its super simple install, you’ll immediately feel the difference. 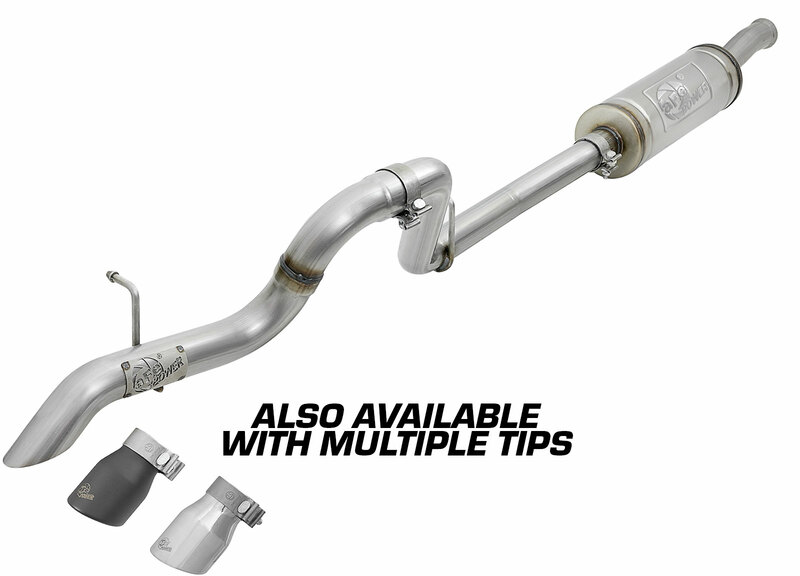 Enjoy bolt-on performance and off-road ground clearance with the Mach FORCE-XP 409 stainless-steel cat-back exhaust system. Its hi-tuck design makes for improved ground clearance over rough terrain, preventing damage to your exhaust system. 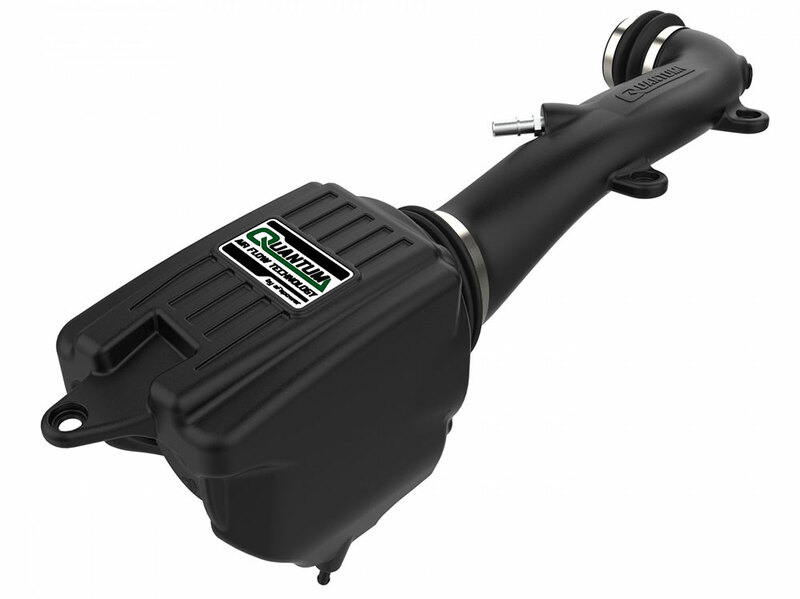 It features mandrel-bent tubing and a free-flowing muffler for unrestricted airflow and maximum power. Available with black or polished tips. This 2-1/2” mandrel-bent 409 stainless-steel system features dual 4-1/2 tips, available in either a black powder-coated finish or polished to a shine. 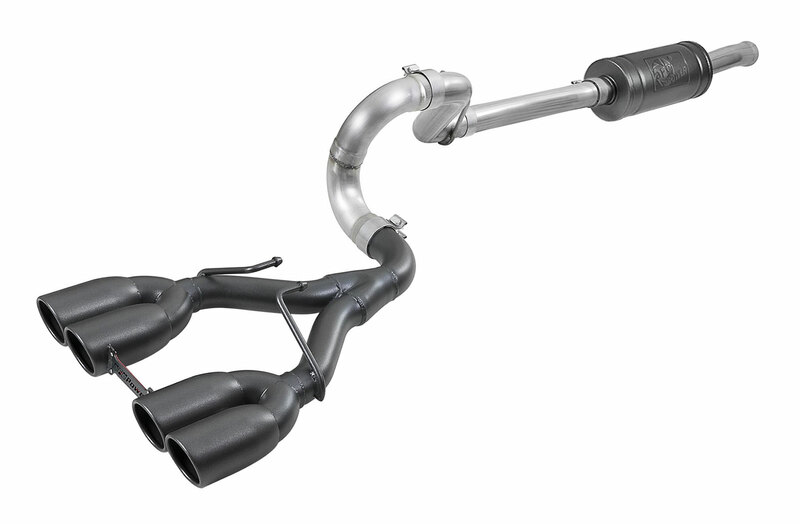 The primary free-flowing stainless muffler has a mild tone, absorbing the high pitch tones, while the additional rear muffler balances exhaust pulses for the smoothest sounding performance available. For those looking to just replace the mufflers, but still want the look of the dual tips of the Rebel Series, an axle-back system is also available. 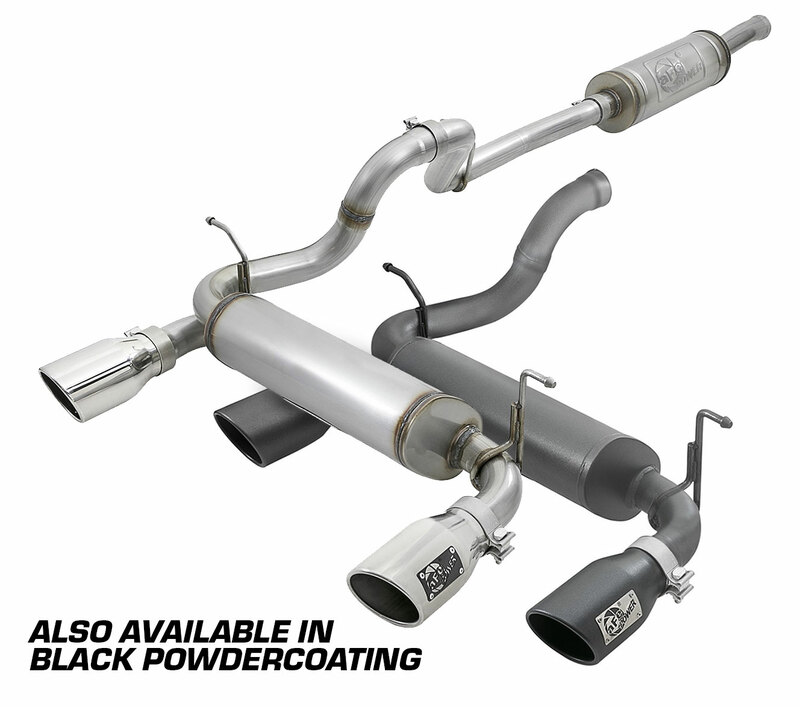 It features the same free-flowing muffler as the cat-back system and is extremely easy to install with OE-style hangers, making it perfect for those looking for something simple. 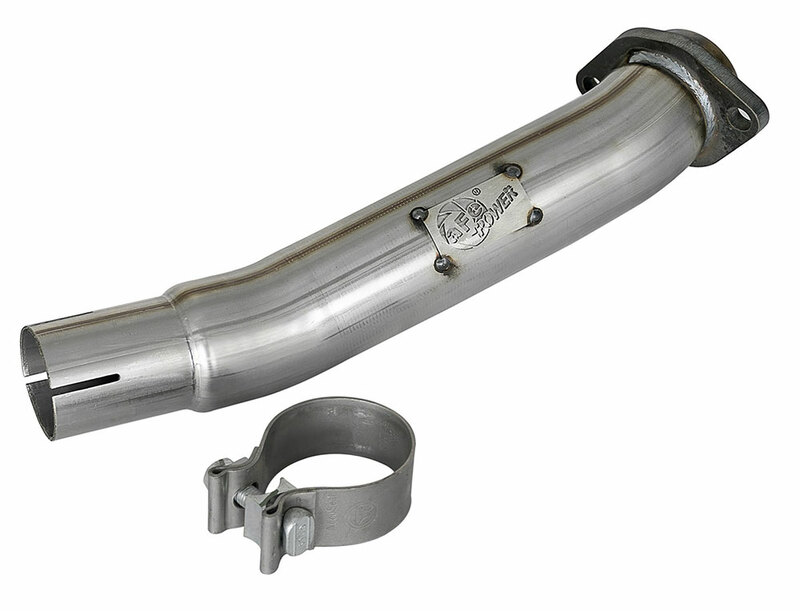 For Wrangler JL owners wanting additional performance and sound, but not looking to crush tips when out on the trails, the Rock Basher series of exhaust is for you. 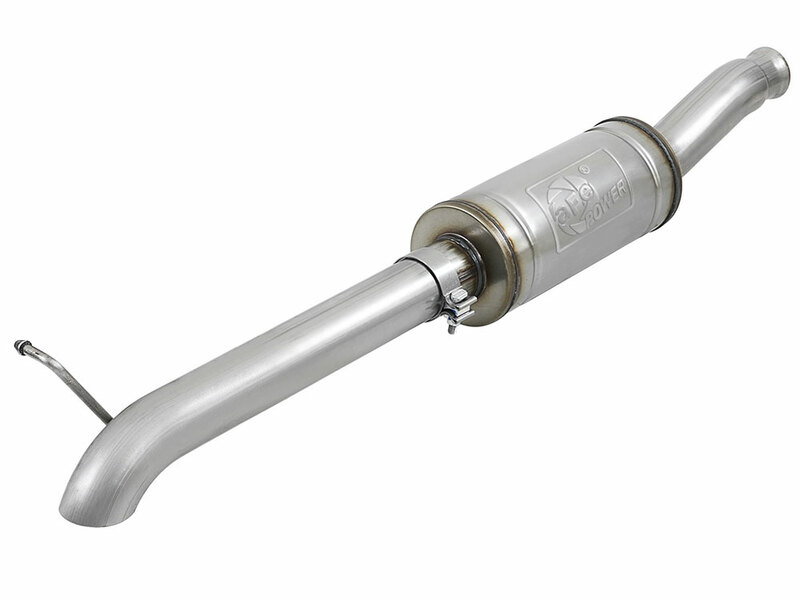 This shorty 3" stainless steel pre-axle turn down kit makes installation a snap, and free-flowing stainless muffler has a great tone. Give your JL a unique look with the quad exit Rebel Series exhaust system. 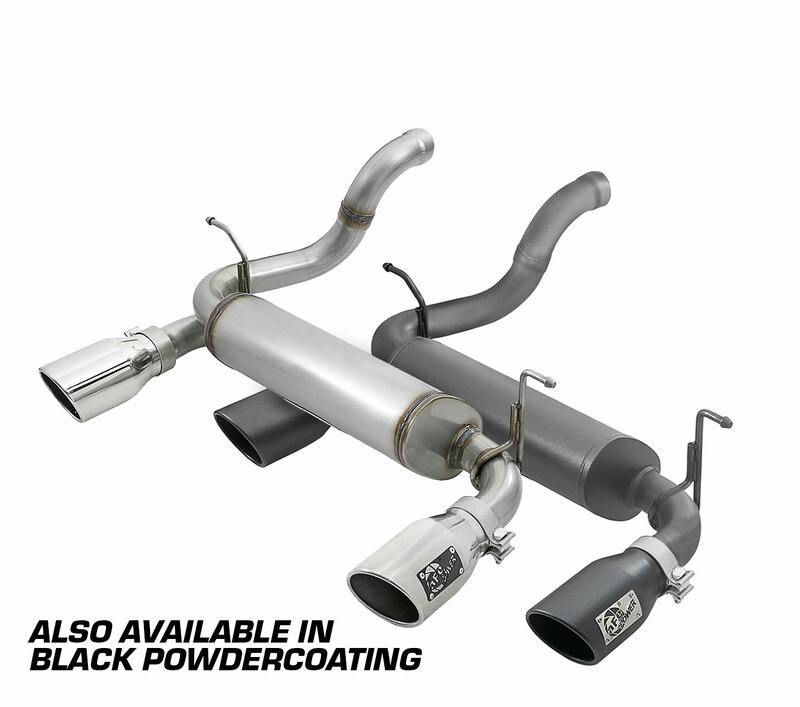 Its 2-1/2” mandrel-bent 304 stainless-steel tubing leads into a high-flow muffler and is finished off with quad 3-1/2” tips, which are both finished in a heat resistant metallic black coating. A custom designed brace with red accents sits between the system’s two sets of stealthy tips. 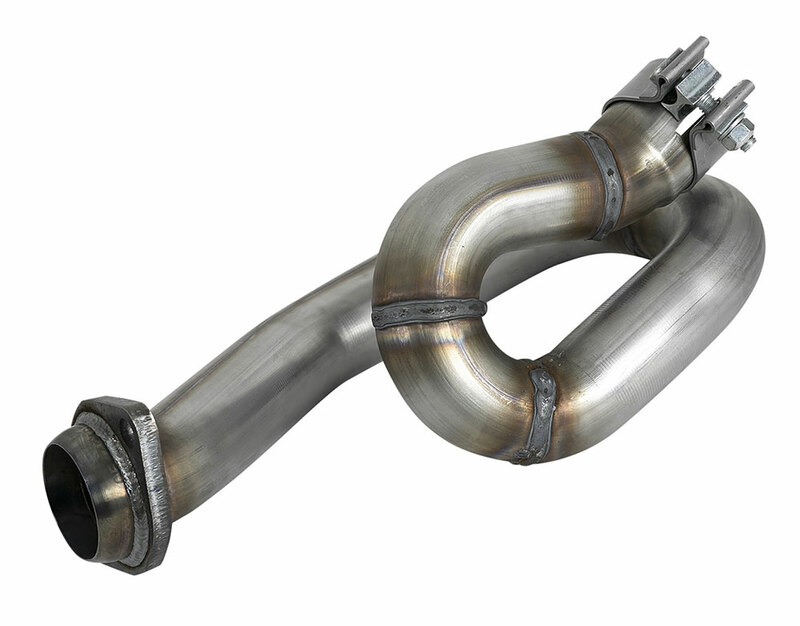 Replace your JL’s restrictive factory y-pipe with this free-flowing Twisted Steel Y-Pipe. With dual 2-1/4” into 2-1/2” 409 stainless-steel mandrel-bent tubes, it provides smooth air flow for better performance on and off the trail. This Twisted Steel Loop Relocation Pipe replaces the factory loop to accommodate most long-arm lift kits without interference. Its 2” mandrel-bent 409 stainless-steel tubing provides optimum flow, without compromising performance. Bolt our Loop Delete Pipe up to your factory y-pipe to solve common clearance issues with aftermarket long-arm lift kits. 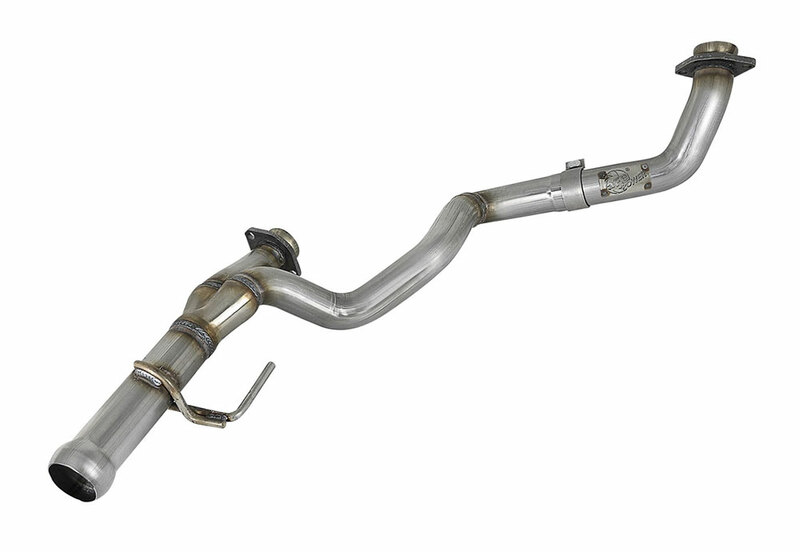 It is constructed of 2-1/2” mandrel-bent 409 stainless-steel tubing, providing smooth transitions of exhaust gases. To combat the somewhat stiff suspension ride from the factory shocks, the aFe CONTROL RaceRunner series bolt-on shocks are tuned to improve the feel both on and off-road. 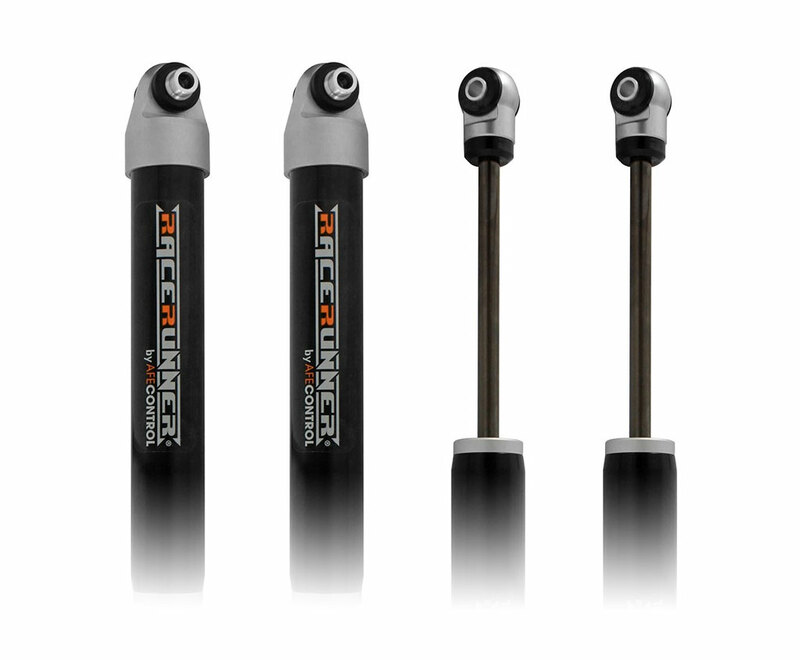 These bolt-on shocks will support stock height and up to a 2” lift, and feature durable 2.0” diameter monotube cylinder with Internal Floating Piston (IFP) design, helping to provide a custom quality look that performs. 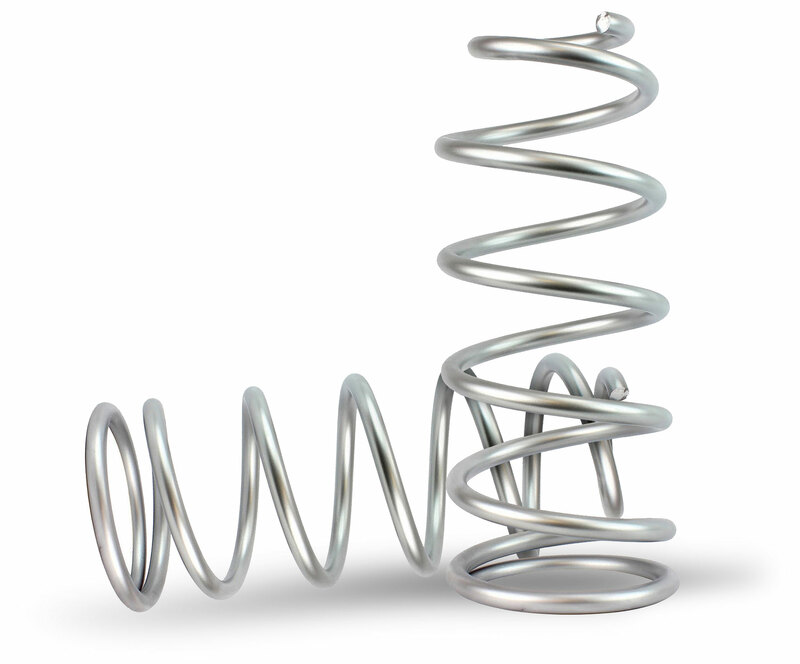 Also from our aFe CONTROL division is the RaceRunner front and rear leveling springs. By lifting your Jeep Wrangler JL 2" in the front and 1" in the rear, you can run larger tires, and you are adding additional ground clearance to tackle that rough terrain while off-roading. These work perfectly with the RaceRunner Off-Road Shocks. For those with the Dana M186-12 front axles and Dana M220-12 rear axles, aFe has cast aluminum differential covers with a variety of color options and features. Reinforced ribs and machined fins provide maximum strength, great heat dissipation, and unique styling. An oil level sight glass and deep reach magnetic fill plug are also available. You've upgraded everything else on your Wrangler JL, why not upgrade your oil filter too? 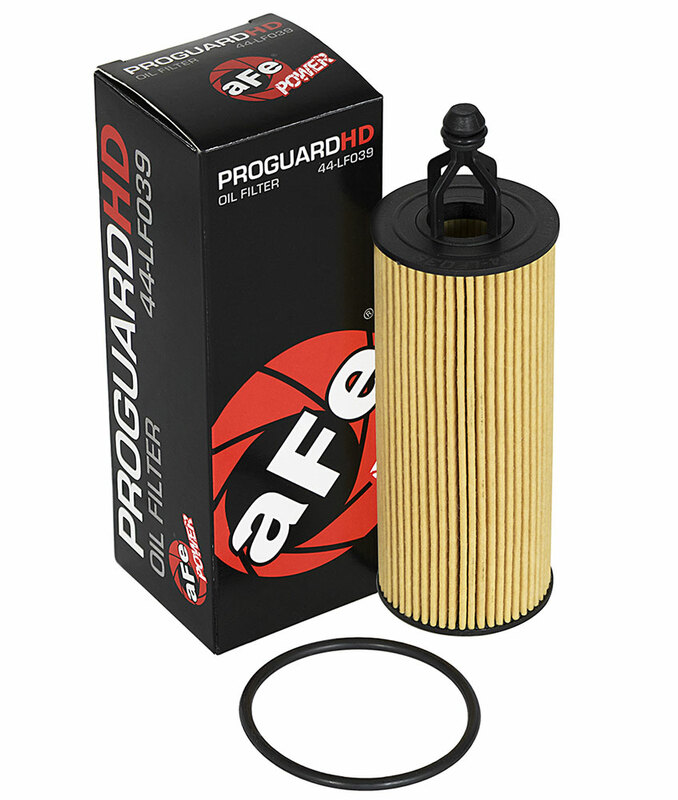 Made specifically to deliver increased flow and efficiency, the aFe POWER Pro GUARD HD oil filter utilizes a high-performance synthetic media for maximum filtration with minimal flow restriction. It includes the required O-rings, making your oil changes hassle-free. Also available in bulk packaging for additional savings.